What percentage of steel did this corrosion attacked the steel anyway? 100 percent, 10 percent, 1 percent, or .1 percent? What sulfur in the all the chips? Do you have any studies claiming thermate? You only referenced Harrit’s junk science paper of thermite and super thermite that only mentions sulfur once in the text. It is composed of aluminum, iron, oxygen, silicon and carbon. Lesser amounts of other potentially reactive elements are sometimes present, such as potassium, sulfur, lead, barium and copper. You even have to use your own cited material out of context to create your false narratives on the source of sulfur. Let’s sum up you argument again. You have not provided any video or photographic evidence of cut columns initiating a collapse at the WTC from CD systems supposedly taking out the resistance of each floor. You have not provided any video or photographic evidence of cut columns from CD systems that supposedly cut columns on each floor. Your proof of thermite in WTC dust is from a pay to play journal that published an unethically peer reviewed paper by bypassing the paper’s referee. And one of the peer reviewers help to create the paper. A paper that claims thermite because of aluminum oxide, so there had to be free aluminum for a thermite reaction. And an exothermic reaction. Without containing one result from an analysis that would actually prove thermite. As in trying to burn the chips in an oxygen free atmosphere. Chips that are basically epoxy industrial coatings with pigments and clays found in industrial paint. Items that have no use in a thermite reaction. All from people that never pursued having independent labs confirm the presence of thermite to complete the paper’s discovery process. Without any explanation why there would be thermite chips in the WTC dust anyway? While nobody else’s can find the free aluminum required for a thermite reaction in WTC dust. Then you claim thermite because of thermal imaging, even though you cannot produce any evidence of thermal imaging capturing 4,000 F temps from thermite burning. So you invoked corrosion and claim sulfur from the supposed thermite, but your cited paper never claimed active thermate. It only claimed thermite with some of the chips containing sulfur. The cited paper only mentions sulfur once in the actual text. And your bases for the corrosion is only from NIST samples. NIST who you claim is not reliable, unless you can find some of their secondary evidence to use out of context for arguments based on pseudoscience. Samples that according to you should not exist because you claimed all the WTC steel was sent to China without being sampled and analyzed? You are a contradictory wreck of BS and falsehoods. And you support groups like AE? A group that collected donations for a promised WTC 7 evaluation project who’s finally release date has came and gone, and is now on indefinate hold. A study that was going to prove something other than WTC 7 fire collapse. The study didn’t sound like a biased bought piece of work at all, not. While the a actual claim by NIST for WTC 7 is fire induced uneven heating that caused stain that resulted in the breaking of the floor connections. The broken floor connections caused columns to lose lateral support, and made them susceptible to buckling. While there are at least three other studies that conclude fire related collapse of WTC 7. One of those studies being a sworn deposition in a lawsuit. Sorry but office & even house fires can reach 1100c the Cardington fire test done in the UK showed that. Millions are spent on fire protection in every country if it wasn't a problem it wouldn't be done. You don't understand enough about structures like most 9/11 armchair warriors. Is there evidence the WTC7 got heated to 1000c that does add up at all when NIST stated the highest temp was 600c and reduced to 400c in the afternoon on floor 13. Now you are claiming that the corrosion could of only happened before the collapse. Care to show us the hotspots on 9/16 again. My belief is the WTC7 steel holes occurred after the nano-thermite went off and ignited. FEMA claiming 1000c heat + sulphur corroded the steel. The video I posted earlier in this thread does not support that hypothesis. The guy who did the experiment used the proper Gypsum drywall, this contained Sulphur, and he also used plastic, rainwater, concrete, aluminium, wood, and other stuff and he burned it all for 24 hours. He went even further than was needed he used diesel to increase temp and after 24 hours, he unpacked it all and the steel was not dented or bent, no holes found in the steel. You need to familiarise yourself with all aspects of this study. The hottest spot was WTC7 believe it was 727c 6 days after 9/11. I not sure if nano-thermite was sprayed on or gel on would harden on top of the steel? 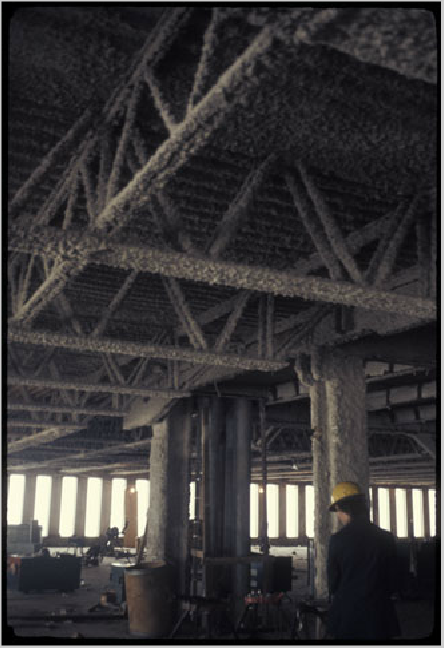 You do know that all of the structural steel was coated with spray on fire proofing 3/4" to 1 1/2" thick. They aren't going to just spray it on to the steel. Sprayed on Gypsum Monokote is resistant to nano-thermite, you can't be serious you must be trolling? Thermate is thermite is just a different type that uses sulphur. What difference does it make if red/chips do or don't contain sulphur? What do you think it has relevance? We all know there couldn't have been nineteen hijackers and commercial airplanes involved on 9/11. As mentioned the other day, though I came to the conclusion it was termites, likely mutated in underground labs by the Mossad, there's been another theory I've been unable to dismiss. Has anybody mentioned spontaneous combustion?